Ah, Miss Swallow. She is Susan Vance’s polar opposite. She is serious, studious, career-driven, and has a firm grip on David’s balls. It is her hold over him eventually drives him away and eventually towards Susan. Not much is known about Virginia Walker, who played Miss Swallow. 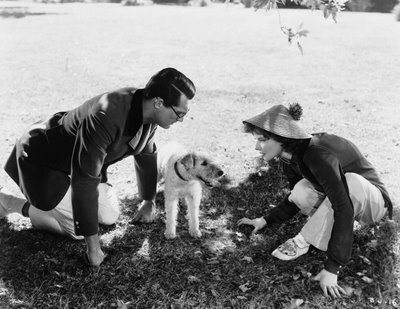 Bringing Up Baby was Walker’s first screen appearance and one of only five. She was married to William B Hawks, Howard Hawks’ brother, and died in 1946 at age 30. I’ll be with you in a minute, Mr. Peabody. 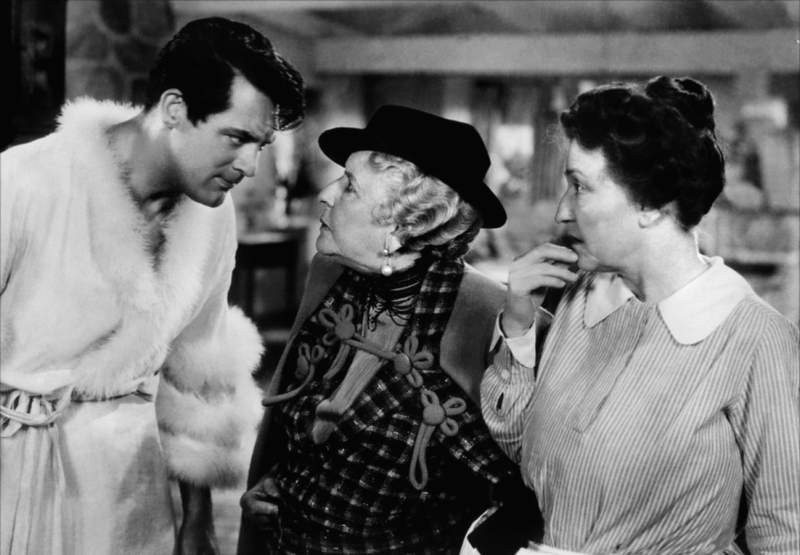 Starting in 1914, George Irving appeared in bit parts in more than 200 films before retiring from acting in 1954. He died in 1961 at age 86. The Major makes his entrance by climbing over the dutch door and straight into the madness. He may be a big game hunter but he doesn’t know how to handle Baby. Ruggles began his career as a stage actor in 1905 before transitioning to film. Over the course of his six decade stage, film and television career, he appeared in more than 100 films (including The Parent Trap) and won an Tony Award in 1959. He received a star on the Hollywood Walk of Fame in 1960. Ruggles died in 1970. Born in Australia in 1858, Robson became an actress after being widowed in 1884. She was first a major stage actress before successfully transitioning to silent cinema and talkies. In 1933, she became the oldest actress nominated for the Academy Award for Best Actress for her performance in Lady for a Day. Robson was 75; she lost out to Katharine Hepburn, who won her first Oscar for Morning Glory. 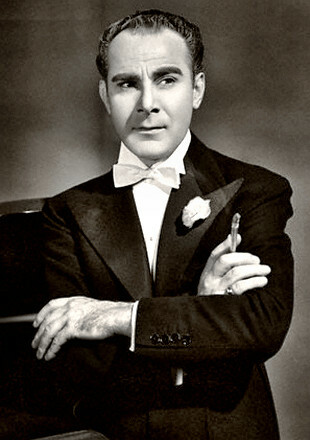 Robson died in 1942 at age 84. Slocum is my favorite secondary character in the movie. His bumbling local sheriff can’t get anything right. Walter Catlett began his career in vaudeville, a fact that becomes clear when you see him in many featured bit parts. He started appearing regularly in films in 1929 and he provided the voice of Foulfellow the Fox in Pinocchio. Catlett died in 1960. Early on, Dr. Lehman tells Susan that David provided is afflicted by “the love impulse” and that he has a fixation on her. Susan takes this to mean that David loves her without realizing yet, setting off their wild excursion to Connecticut. And then Dr. Lehman probably caught on that Susan Vance is just a little off her rocker. Why else would a woman being singing “I Can’t Give You Anything But Love Baby” outside his window to an alleged leopard? Fritz Feld, like every other supporting actor in Bringing Up Baby, was a character actor who appeared in more than 140 films. He began his career in Germany in 1917 and began appearing in American films in the 1920s. He died in 1993. Gogarty is Mrs Random’s drunk Irish gardener who spots Baby before anyone else. 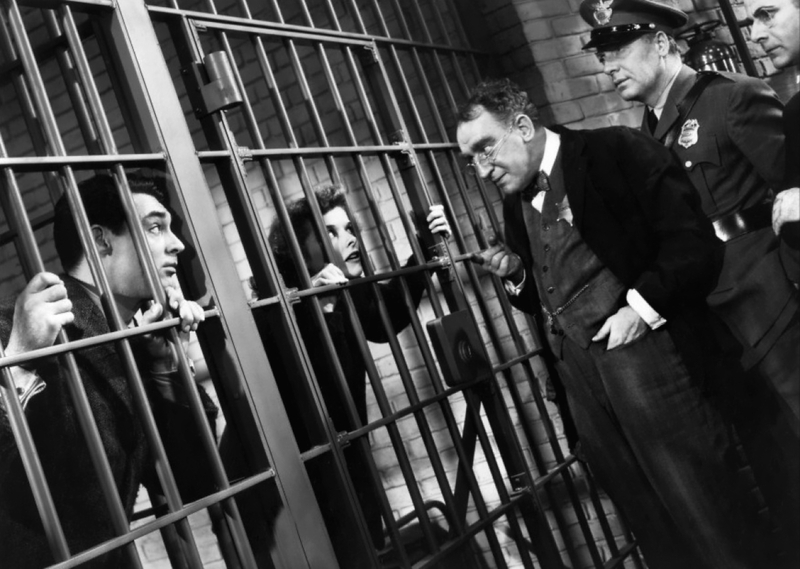 Barry Fitzgerald is the most recognizable character actor in Bringing Up Baby. 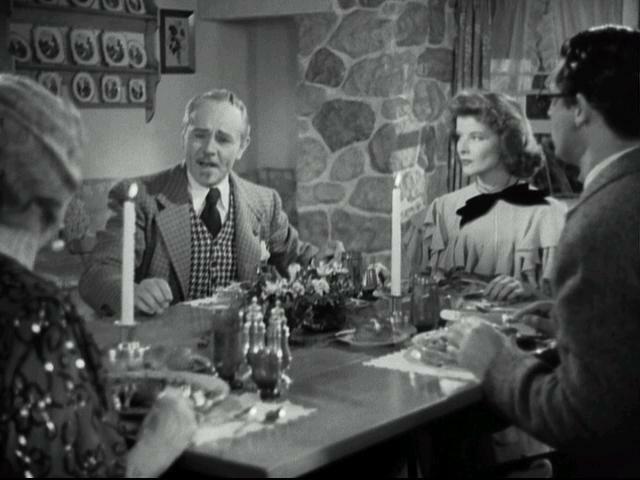 He was notably nominated for the Best Actor Oscar and the Best Supporting Actor for the same role, Father Fitzgibbon in Going My Way (he won the Best Supporting Actor award). 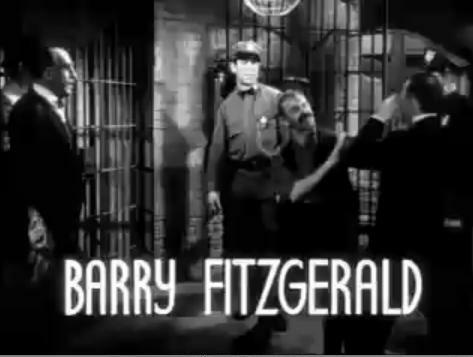 Fitzgerald appeared in other films such as The Long Voyage Home, How Green Was My Valley, And Then There Were None, The Naked City, and The Quiet Man. Fitzgerald died in 1961 at age 72. Saving the best for last? Definitely. You know Asta (sometimes Skippy) as the terrier from The Thin Man franchise. Best movie dog ever? Absolutely. This post took much longer than I intended but anyways. 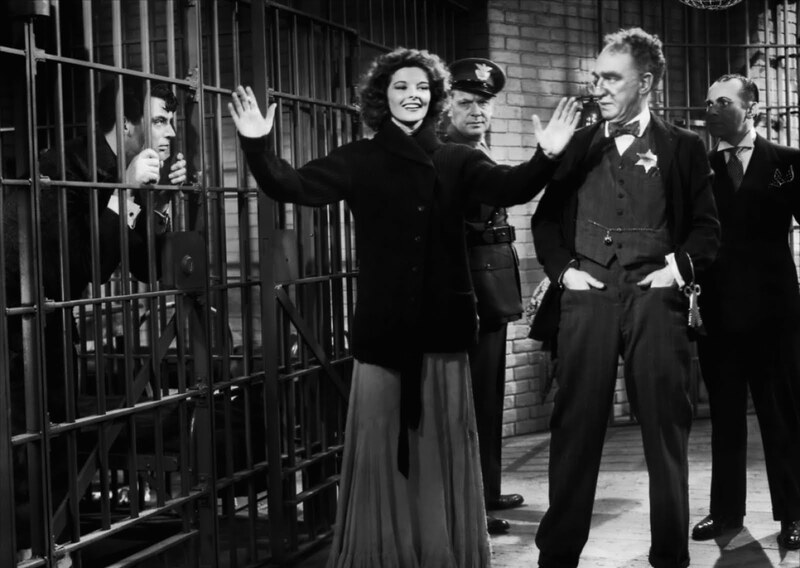 Who is your favorite supporting cast member from Bringing Up Baby? Let me know in the comments. 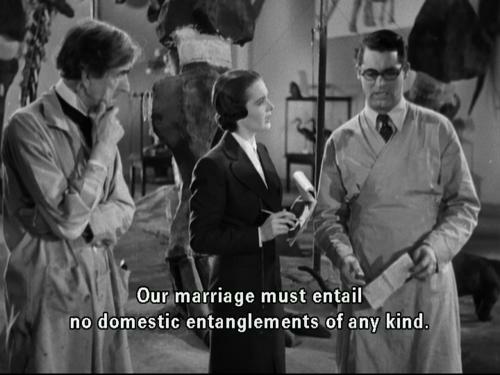 Hi Joanna, just saw Bringing up baby on BBC2. I had seen it as a child, but forgotten about it (almost). It was great to see the movie again, and loved the whole ensemble, May Robson maybe a slight favorite. Wondering about what happened to Virginia Walker though. Thanks for your site, I’ll be sure to check it out more thoroughly. My vote is for ( no offense) is for Asta the dog. you see he was the only cast member that had to actually go in and bite a real leopard, who could have easily have been having a bad day on that set with a bunch of screaming actors and taken Asta OUT. Just watched it once again, fell in love with cary Grant when a little girl, but this is my favourite, always makes me laugh.